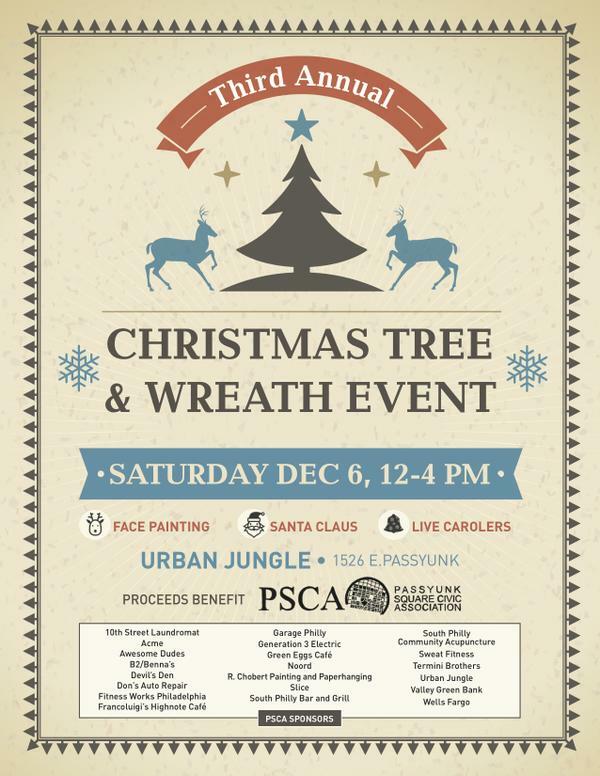 This Saturday, December 6, come out to PSCA sponsor Urban Jungle (1526 E. Passyunk Ave.) for the 3rd Annual Tree and Wreath Event! 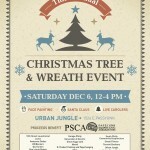 From noon to 4 pm, a portion of purchases will benefit the Passyunk Square Civic Association, so you can shop local, choose the perfect Christmas tree, and support the PSCA all at the same time! Urban Jungle will have live trees, gorgeous wreaths, and other lovely fresh greenery to transform your home for the holidays. Bring the whole family – festive face painting is offered from 12:30 pm to 2:30 pm, and from 2 pm to 4 pm enjoy the seasonal sounds of the PSCA Carolers, plus a visit from Santa himself! Don’t miss it! From the Newsletter: Annual Appeal and Thanks! Did you receive the Annual Appeal email a few weeks ago? There’s still time to make a fully tax-deductible donation to the Passyunk Square Civic Association! Click here to read the Annual Appeal letter. There are many ways to donate, and every dollar raised directly supports weekly litter pick-up, tree planting and maintenance, education reform, neighborhood outreach and more! Thanks to those who have already made a donation.